Police are hoping ‘despicable’ thieves who stole money which was destined for three charities, will be identified from CCTV images. Police say in a statement that on Wednesday January 3 three men entered Gatwick Airport’s South Terminal and stole one of the charity ‘Globes’. The ‘Globes’ are located around the airport at various locations and are for passengers to donate any loose change or foreign currency. The money is then divided between three charities supported by Gatwick Airport Ltd; Travelcare, Cancer Research UK and St Catherine’s Hospice. Having stolen the globe the three made off on foot towards Horley. The second incident occurred on Thursday January 18. This time four men entered the South Terminal, two of whom are believed to have been involved in the previous theft. They took another Globe but dropped it on the floor when they were challenged by a member of airport staff. No money was stolen and the suspects made off empty handed towards Horley. Three men have already been arrested and are currently released but under further investigation. 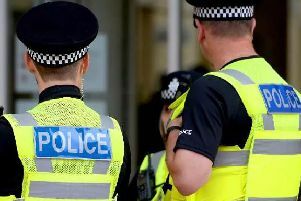 A 26-year-old Crawley man was arrested on suspicion of being involved in the theft on January 3. Two men, one aged 24 from Crawley, and one aged 23 of no fixed address, were arrested on suspicion of being involved in the theft on January 18. However police are still seeking to identify two men. They say the man who actually picked up the globes on both occasions is shown in the images, wearing a baseball cap, as is the second suspect, who is wearing a black coat and black woollen hat. These images were all taken on January 3. PC Nick Truan said; “We don’t know how much money was stolen on the first occasion, but these were despicable acts and this pair need to be identified and arrested.